Rosneft CEO Igor Sechin. Image courtesy of Rosneft. Russian officials said Wednesday they expect state-owned Rosneft to be fully privatized by the end of this year. Economic Development Minister Alexey Ulyukayev told TASS that the government will meet the year-end deadline it set to sell its stake in Rosneft. TASS reported in May that Russia plans to sell its 19.5 percent stake in Rosneft to institutions in China and India. The stake is expected to fetch about $11 billion. The sale is part of an effort to keep budget deficit levels in the low single digits. “To achieve the budget deficit of 3% of GDP is fairly challenging. It is exactly the privatization of Rosneft will make possible to receive money directly as budget revenues and not as a deficit financing source,” Ulyukayev told TASS in May. Further details about the sale or the intuitions that will be purchasing the stake have not been disclosed yet. 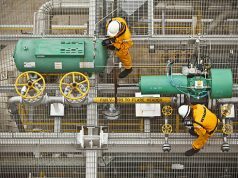 According to Bloomberg, BP chief Bob Dudley said in June that his company plans to retain its stake in Rosneft after the government sells its interest. China’s CNPC said in April that it would look into potentially participating in the Rosneft stake sale, Bloomberg said. BP owns a nearly 20 percent stake in Rosneft. 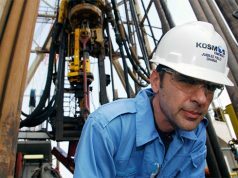 Rosneft, BP and Schlumberger announced agreements for collaboration on seismic research and development. Under the terms of the agreements, Rosneft will join as an equal partner in BP’s ongoing project with Schlumberger’s seismic business, WesternGeco, to develop innovative cableless onshore seismic acquisition technology. Rosneft booked a total revenue and equity share in profits of associates and joint ventures of $19.2 billion and an EBITDA of $5.34 billion for the second quarter of 2016.